This ca. 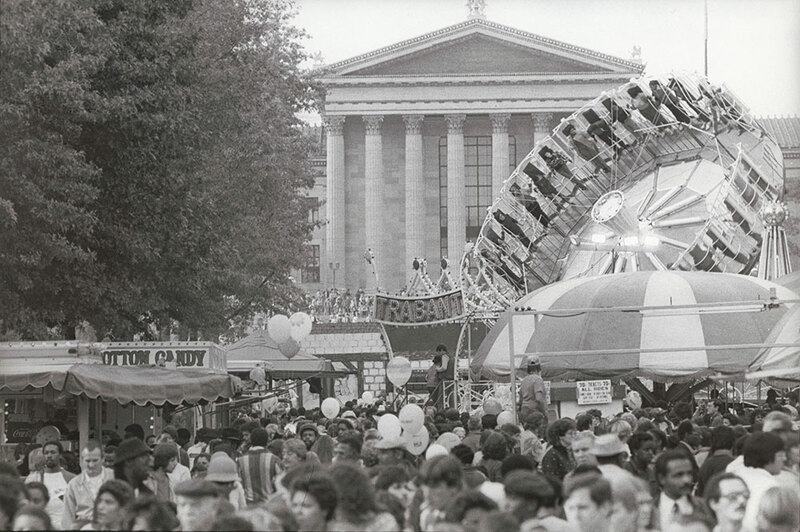 1980, taken by Neil Benson, shows crowds attending Philadelphia's annual Super Sunday celebration. Billed as "a giant block party," and held on the second Sunday of October, it occupied the Benjamin Franklin Parkway, from the Art Museum (seen in the background) to Logan Circle. A celebration of ethnic and cultural Philadelphia, crowds enjoyed carnival rides, ethnic foods, activities provided by the area museums and institutions, entertainment, children's games, and more.